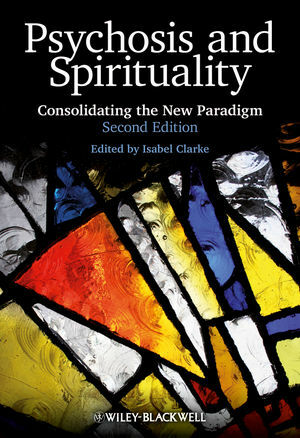 The new edition of this successful text builds on the very latest research to present an original and unique exploration of the psychology of both spirituality and psychosis. The editor brings together fascinating perspectives from a broad range of distinguished contributors. Isabel Clarke is a consultant clinical psychologist, working in acute mental health in the NHS. She is the author of Madness, Mystery and the Survival of God (2008), and co-editor of Cognitive Behaviour Therapy for Acute Inpatient Mental Health Units: Working with Clients, Staff and the Milieu (with H. Wilson, 2008). For more information, please visit www.isabelclarke.org. Notes on Editor and Contributors. 1 Psychosis and Spirituality Revisited: The Frontier is Opening Up! (Isabel Clarke). 2 The Neurophysiology of Religious Experience (Peter Fenwick). 3 Cognitive Neuroscience, Spirituality and Mysticism: Recent Developments (B. Les Lancaster). 4 The Polarities of Consciousness (Natalie Tobert). 5 Missing Stories: Psychosis, Spirituality and the Development of Western Religious Hermeneutics (Neil Douglas-Klotz). Section 3. The Mystical Face of Psychosis: The Psychotic Face of Mysticism. The New Continuum. 6 'On Not Drinking Soup with a Fork': From Spiritual Experience to Madness to Growth – A Personal Journey (Peter K. Chadwick). 7 Spiritual Experience: Healthy Psychoticism? (Gordon Claridge). 8 'Psychopathology', 'Psychosis' and the Kundalini: Post-Modern Perspectives On Unusual Subjective Experience (Richard House). Section 4. The Discontinuity Hypothesis and its Philosophical Implications. 9 Psychosis and Spirituality: The Discontinuity Model (Isabel Clarke). 10 Knowledge and Reality (Chris Clarke). 11 Are Delusions on a Continuum? The Case of Religious and Delusional Beliefs (Emmanuelle Peters). 12 The Paradigm-Shifting Hypothesis: A Common Process in Benign Psychosis and Psychotic Disorder (Mike Jackson). 13 Transformative Crises (Caroline Brett). 14 Exploring the Transliminal: Qualitative Studies (Sharon Warwick and Roger Waldram). 15 'What is Real and What is Not': Towards a Positive Reconceptualisation of Vulnerability to Unusual Experiences (Isabel Clarke). 16 Visionary Spiritual Experiences (David Lukoff). 17 Learning to Become Centred and Grounded and Let the Voices Come and Go (Nigel Mills). 18 Mapping Our Madness: The Hero's Journey as A Therapeutic Approach (Janice Hartley). 19 Spirituality, Psychosis and the Development of 'Normalising Rationales' (David Kingdon, Ron Siddle, Farooq Naeem and Shanaya Rathod).